Husqvarna 435 Chainsaw is lightweight, efficient and ideal for those that are looking for a chainsaw that is exceptionally easy to start and maneuver. Features a 2.49 cubic inch, 40.9cc, 2.2 HP X-Torq® engine with Smart Start®, lower fuel consumption and reduced emissions levels, plus a fuel pump and an auto-return stop switch for easier starts. 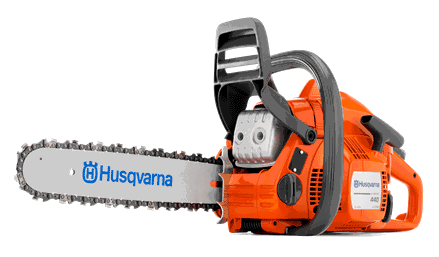 The Husqvarna 435 Chainsaw with 16" bar is available at KK Lawn & Sport at any of our locations. Contact us for more information.